OUT OF PRINT: AVAILABLE ONLINE AT MONASTERIES OF THE HEART UNDER PRAYERS BY JOAN CHITTISTER. 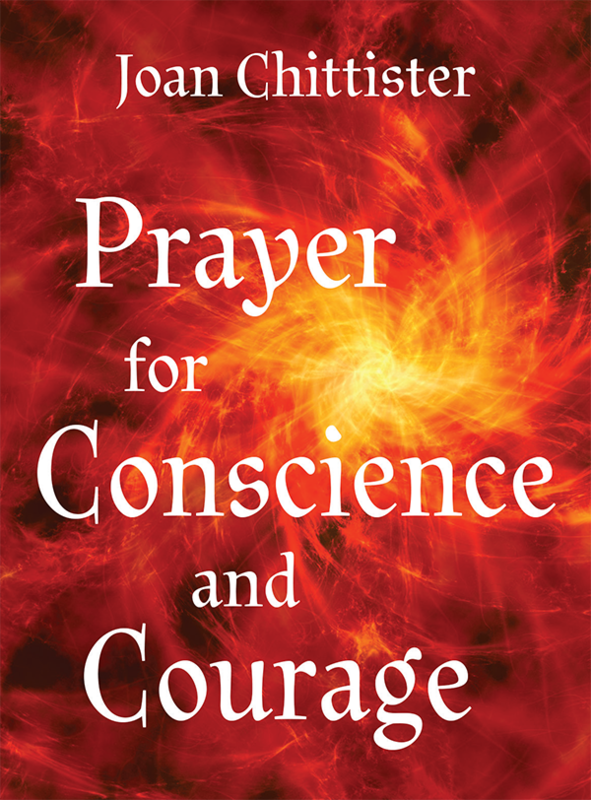 “Prayer for Conscience and Courage in Times of Struggle” includes intercessory prayer to 13 women and men who understood the headlines of the times and said aloud what they saw, encouraging others to confront issues that compromised personal conscience and threatened personal integrity. 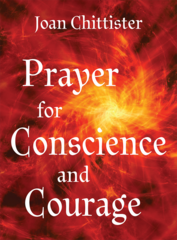 From the introduction of "Prayer for Conscience and Courage"
Loving God, lead us beyond ourselves to care and protect, to nourish and shape, to challenge and energize both the life and the world You have given us. God of light and God of darkness, God of conscience and God of courage lead us through this time of spiritual confusion and public uncertainty. Lead us beyond fear, apathy and defensiveness to new hope in You and to hearts full of faith. Give us the conscience it takes to comprehend what we’re facing, to see what we’re looking at and to say what we see so that others, hearing us, may also brave the pressure that comes with being out of public step. Give us the courage we need to confront those things that compromise our consciences or threaten our integrity. Give us, most of all, the courage to follow those before us who challenged wrong and changed it, whatever the cost to themselves.